Today I did not add any photos showing the sequence for each project. I added links to show 'how' I made similar projects if you want to see the process. stencilled on a piece of vintage fence board (see here for how). 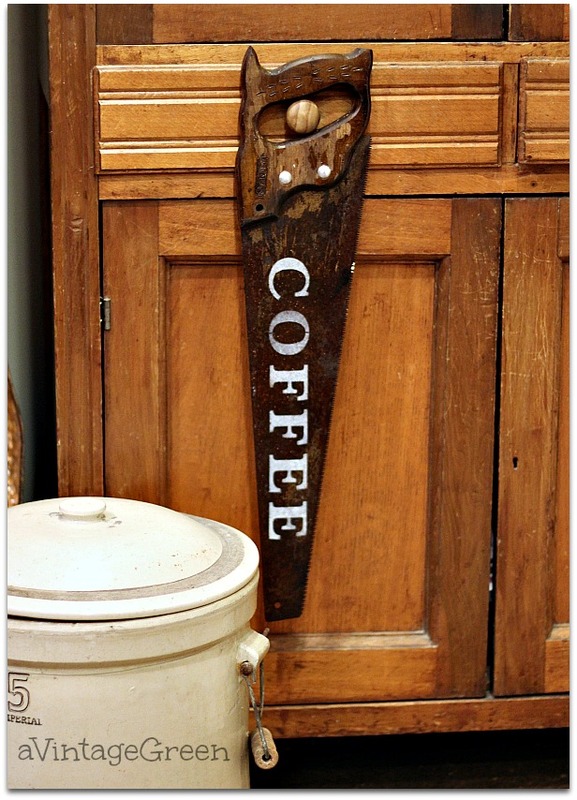 stencilled COFFEE (see Saw blade coffee post for how). Thrifted a small well used little cutting board. Stencilled (see stencilled bread boards). I love the contrasting wood colours in the background of the little cutting board. 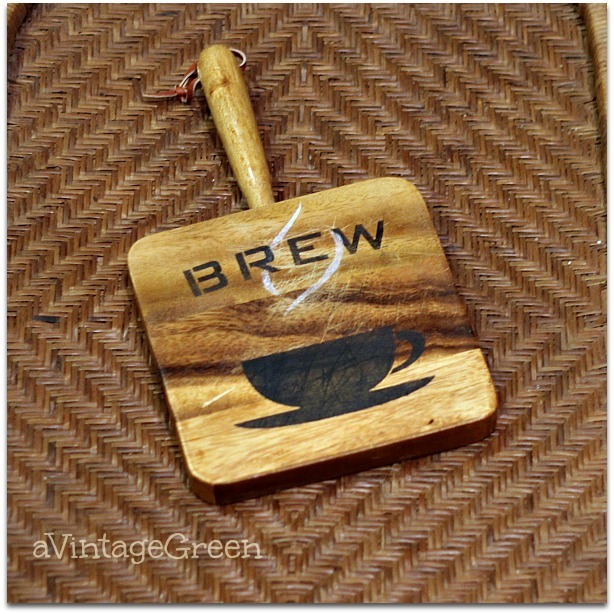 The BREW sign is shown on a vintage woven tray. Instead of taking pictures as I did each step in the projects above I added a link to the 'how to' when I made similar projects. Made these three projects in about 2 hours (including finding the supplies). I have been stenciling too! I love your grocery sign. You are the Stencil QUEEN!!! I love them all and I have an old Stanley saw! Must needs to get updated stencils! Hobby Lobby is on my to do list for tomorrow! I have a piece of wood just waiting for me to decide what words I want on it. I need to dig out my stencils. 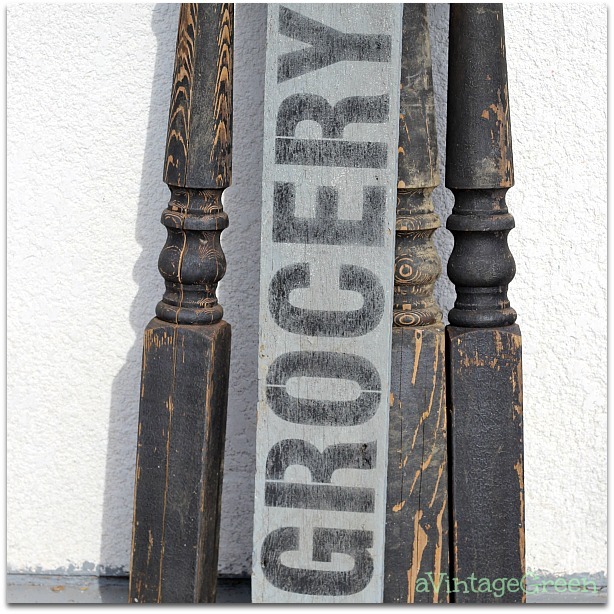 I'm loving your stencilled cutting board, it's too cute and perfect for the kitchen! The grocery sign is awesome as well and the saw so unique! I could imagine all of those in my home!! Thank you so much for sharing at Sweet Inspiration #4! Have a lovely Weekend! I fell in love with your stenciled saw! I can just see my Dad's many saws hanging above his handmade workbench. 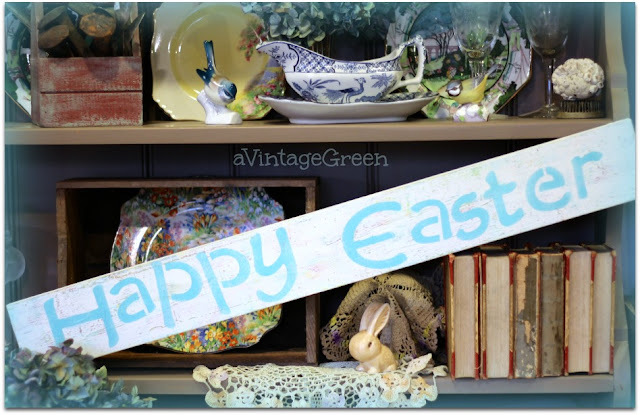 You are so creative, I just love seeing your pretty projects! Thank you so much for sharing your talent with us at TOHOT! You are so creative! The cutting board is my favorite. I love the saw! I am a bit late to the TOHOT party this week due to my college semester finals but I'm so glad that I didn't miss this. Have a wonderful week. How cute these are. Thanks for sharing at Home Sweet Home! You are killin' it with your stencils, Joy! Thanks for all the cool ideas that don't require building! Love these!